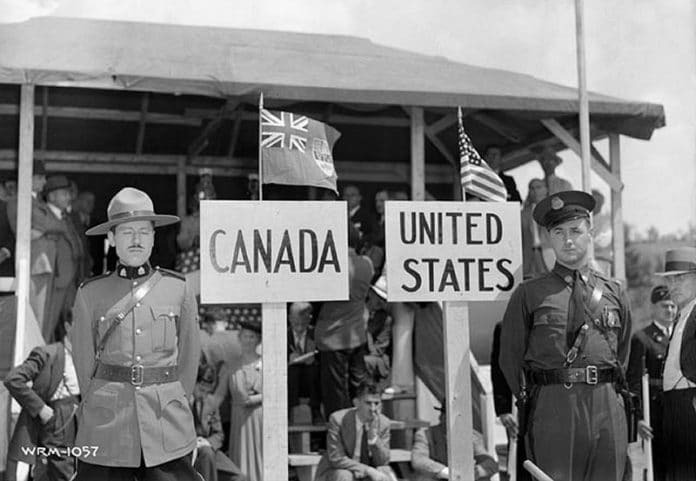 A tricky situation has perhaps become a little less so for Canadian cannabis industry workers wanting to enter the USA. Last month we mentioned growing concerns that Canadians associated with the country’s legal cannabis industry may be unable able to cross into the U.S. because of their work. It’s become a more pressing issue as recreational use will be legalised in Canada in just a couple of days – October 17 – and this will mean growing numbers of its citizens could be impacted as the industry employs more workers. Canada’s Prime Minister Justin Trudeau previously alluded to potential border issues and said the his government was thrashing things out with U.S. officials. It appears the efforts have borne fruit. “A Canadian citizen working in or facilitating the proliferation of the legal marijuana industry in Canada, coming to the U.S. for reasons unrelated to the marijuana industry will generally be admissible to the U.S.” says part of the statement. However, in a case where such a citizen wanted to enter the USA to carry out activities related to the industry, they may be “deemed inadmissable”. While not providing clarification on these activities, perhaps this could include attending industry conferences. The full statement can be viewed here. It’s a really odd state of affairs given that according to the Marijuana Business Factbook 2018, the legal cannabis industry supports anywhere from 125,000 to 160,000 full-time jobs in the United States. However, this is due to state efforts – the feds still consider cannabis, medicinal or otherwise, to be a Schedule I substance and hence illegal. This view is slowly starting to change. The thin edge of the wedge occurred recently when the Drug Enforcement Administration (DEA) shifted cannabidiol from Schedule I to Schedule V – the catch being it was only in relation to a specific cannabis-based medicine (for now) called Epidiolex. While the trickle, well, really a drip, isn’t likely to turn into a raging torrent soon, and to use another metaphor, the door has finally been opened for cannabis to be accepted as medicine at a federal level. With a foot in that door; others should follow – then perhaps views will also change on movements on citizens from Canada to the USA.